If you’re considering a North Carolina adoption, you’ve come to the right place. At Parker Herring Law Group, PLLC, we can help you complete whatever kind of adoption you need, whether you’re a pregnant woman considering adoption or a prospective adoptive parent(s). 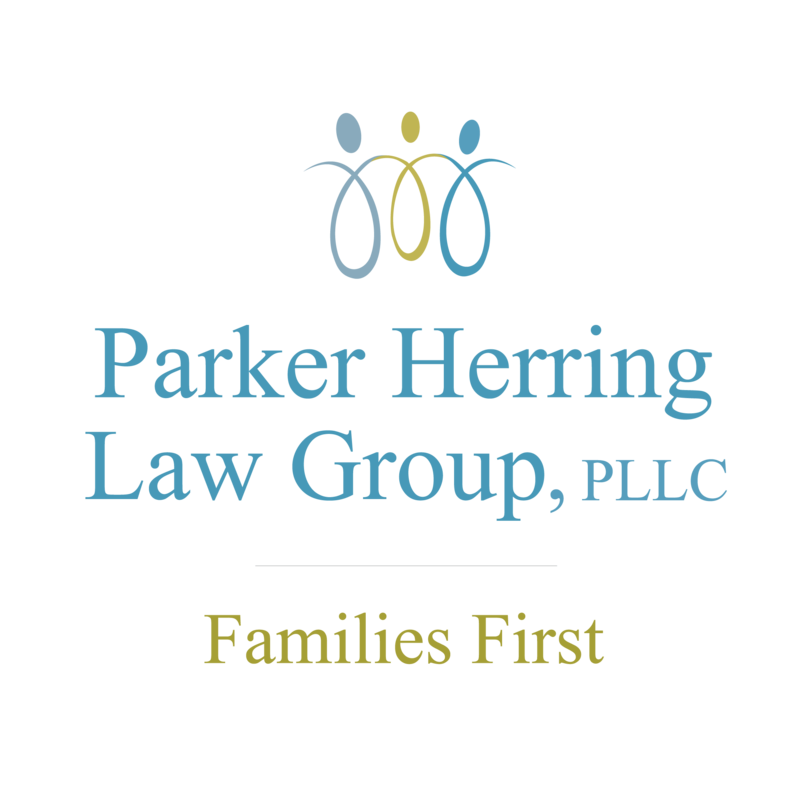 As a board-certified specialist in family law, North Carolina adoption attorney E. Parker Herring is well experienced in assisting families and pregnant women who are in the same situation as you. She understands the emotional and physical difficulties of your situation, which is why she strives to provide compassionate service that makes your needs her priority. Her career has revolved around adoption law and, Parker Herring Law Group, PLLC co-founded the adoption agency A Child’s Hope. E. Parker Herring is an adoptive mother herself. Parker Herring Law Group, PLLC formed the nonprofit Friends of Adoption and lobbied successfully to make major changes in the state’s adoption laws. Herring stays active in the state’s legislative process by membership in the state-wide Adoption Committee. In guiding you through adopting in North Carolina, we can provide all the legal assistance you need and refer you to any other adoption resources you may need — whether that’s an adoption agency to get you started or counseling services to assist you through the adoption process. Below, you’ll find information on all of the different kinds of North Carolina adoptions we complete. You can also call us anytime at 919-821-1860 or contact us online to discuss your individual situation and the options available to you. Conveniently located in North Carolina’s capital, we can assist with any Raleigh adoption or any other adoption across the state. Agency adoptions are, of course, adoptions completed through an adoption agency licensed in North Carolina. The North Carolina Department of Health and Human Services (NCDHHS) provides a state-wide listing of adoption agencies by county. Each of these agencies is licensed by the state of North Carolina and must go through a regular relicensing process. Parker Herring is one of the founders of the North Carolina based adoption agency, A Child’s Hope, and she still directs the agency. The agency focuses on matching North Carolina couples with North Carolina newborns and has placed over 330 children since 2000. Today, the typical adoption in the United States involves some degree of openness. However, open adoption in North Carolina means different things to different people. It is important to be clear about what you intend. At its most basic level, having an open adoption means that adoptive parents are going to know the name of the biological mother and she is going to know the adoptive parent’s names. Beyond that, deciding how much information is shared is a mutual decision. An independent adoption in North Carolina is an adoption arranged by the prospective birth parent(s) with an identified individual or couple and is typically facilitated by an attorney. Parker Herring Law Group, PLLC, has helped numerous North Carolina families adopt this way. Check out our Adoption Consultation Flyer for more information about how you can start your family. You’re likely to be worn out from the extensive international adoption process, but it’s imperative you do not delay the readoption of your child to ensure his or her legal status as a U.S. citizen. Do I need a lawyer to do an adoption? Adoption changes the structure of your family. The laws governing an adoption in NC and the process for adoption are quite complex and are strictly applied. Engaging an experienced adoption lawyer is an important part of ensuring that your adoption proceeds smoothly and is not subject to challenge. There are so many options for how to adopt. How do I choose the right one for me? It is important to select the option that best meets your needs. An adoption attorney will answer your questions about the law and adoption process, help you assess risks involved, clarify your options, and develop a legally secure plan for adoption. A home study, sometimes called a pre-placement assessment, is generally required unless you are closely related to the child. A pre-placement assessment is not required in stepparent adoptions. It is also not required in certain relative adoptions. It is not required when a parent or guardian places a minor directly with a grandparent, sibling, first cousin, aunt, uncle, great-aunt, great-uncle, or great-grandparent of the minor child. How do I identify a child available for adoption? Adoption facilitators (A adoption facilitator is an individual or nonprofit entity that assists biological parents in locating and evaluating prospective adoptive parents without charge); and in North Carolina, prospective adoptive parents with a completed preplacement assessment which recommends them as adoptive parents can place advertisements seeking a child for adoption. Certain other states severely restrict or prohibit advertising. An individual with a completed favorable home study may advertise. Advertisements may be placed in any periodical or newspaper, or by radio, television, or other public medium. The advertisement shall include a statement that (i) the person has a completed preplacement assessment finding that person suitable to be an adoptive parent, (ii) identifies the name of the agency that completed the preplacement assessment, and (iii) identifies the date the preplacement assessment was completed. An advertisement may state whether the person is willing to provide lawful expenses. Violation of this provision is a crime in North Carolina. Certain other states severely restrict or prohibit advertising. Adoption arrangements which include plans for continuing communication or contact between biological and adoptive parents or adopted children are called open adoptions. In North Carolina such arrangements are valid, but they are not legally enforceable. Open adoption arrangements are also available in agency placements. If both birth parents and adoptive parents agree, confidentiality restrictions can be waived. If confidentiality restrictions are waived, the agency can release identifying information to birth parents and adoptive parents allowing them to communicate directly. Without the waiver, all information must be transmitted through the agency. Can the mother change her mind? In North Carolina, a parent who gives consent to an adoption may revoke their consent within 7 days following the day on which it is executed, inclusive of weekends and holidays. The rules are very different in other states. Every potential father has the right to receive notice that a child that he may have fathered is going to be placed for adoption. Notice means just that. He is provided notice that he has been named as a possible father and that the mother intends to place or has placed the child for adoption. Unlike a husband or legal father, an unwed biological father’s right to receive notice does not mean that his consent is required in order for the adoption to proceed. A man who fathers a child out of wedlock must take affirmative steps to show his commitment to establishing a parent-child relationship before the law recognizes his right to prevent an adoption by withholding his consent. What if the baby is in another state? If a child is born in State A (the Sending State) and is to be adopted by parents in State B (the Receiving State), then special rules apply. The Interstate Compact on the Placement of Children (ICPC or the Compact) applies to adoption. In those cases in which the Compact applies, the laws of both states must be satisfied before the child can leave State A and travel into State B.The Interstate Compact does not apply when the child is to be placed with a close relative of the child – the child’s parent, stepparent, grandparent, adult brother or sister, adult uncle or aunt, or the child’s guardian.